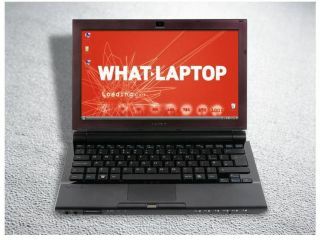 By now, we all know that Sony is supposed to be hitting us with its first netbook Vaio PC at CES next month but, amid the various teases, leaks and rumours, how much is clear? The latest sighting of the machine comes on a Japanese Sony website, which shows a female model slipping it into her handbag. It appears to use a longer design than is common on current netbooks, lending credence to the notion that it will be different in a very Sony way. Moreover, a combination of information gleamed from a US regulatory filing and some smart guesswork leads us to conclude that the new computer may not be the low-end model many think it will be. We already know the processor will be Intel made and that it will run at 1.33GHz. However, the fact that the flavour of Windows on offer is Vista means we're not talking about an Atom chip. Instead, as Network World says, it's likely to be a more expensive Core2Duo in order to handle the demands of Windows Vista. That's currently almost £170 more expensive to computer manufacturers than the Atom, so the implications for the cost to the end user are obvious. That and the longer body that allows for a bigger keyboard almost certainly means come 8 January we'll be looking at a powerful computer in a netbook-sized package. For now, however, we'll just have to wait and see.